Epidermoid cysts are a relatively common occurrence for many people. Several people refer to epidermoid cysts as sebaceous cysts, but this is a common mistake. According to the Mayo Clinic, real sebaceous cysts are uncommon and originate from the sebaceous glands that lubricate hair and skin. Usually painless, epidermoid cysts do not often require treatment. However, sometimes infection or appearance lead to people opting for removal. While there are certainly medical facilities equipped to handle the removal, many people opt for a more natural approach to healing. Here, we will discuss those options. The acetic acid found in apple cider vinegar proves to be the helpful agent in combatting cysts. It works to protect the skin from bacteria and kill the infection brought on by the cyst. Just apply the vinegar directly to the infected area and cover with a bandage. The same process must be completed daily for a week until a hard layer of skin forms over the cyst. Remove the hard layer to allow the cyst to drain. Keep the area clean and within a week, new skin will start to grow. One tablespoon of dandelion mixed with viola can fight infection brought on by cysts. Simply seep the mixture in boiling water for 45 minutes. Strain the concoction and drink it up to 4 times per day for up to 10 days. You can even use the solution to apply directly to the cysts for added relief. Epsom salt soothes the infected skin. Fill a bathtub with water and use a generous amount of salt. Soak in the tub allowing the salt to relieve the pain and swelling associated with the cyst. Aloe Vera has long been used as a soothing agent for various skin conditions. You may apply the sap from the plant directly to the cyst or for faster results; you can drink Aloe Vera juice. Milk is a great option for cyst removal. Simply soak a tea bag in milk and place it on the cyst overnight. With repeated application, the cyst will reduce in size and heal faster. A paste made with honey, wheatgrass and banana proves to be helpful for removing cysts. Put the paste directly on the infected area and cover with a cloth overnight. Regular application will lead to a faster recovery. For immediate reduction in size, heat and castor oil will do the trick. 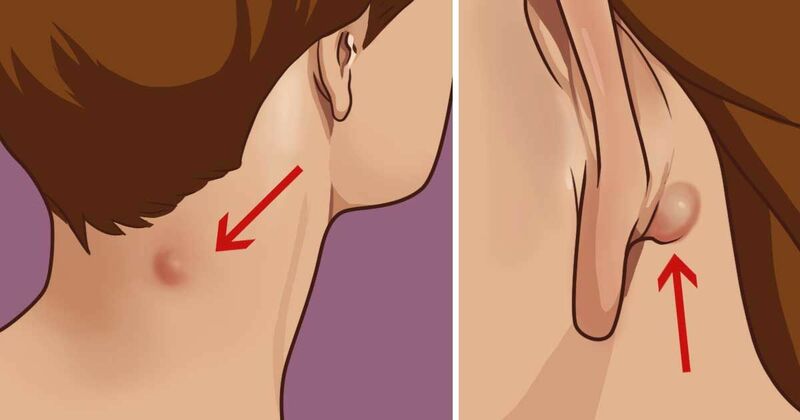 Apply castor oil directly to the cyst and cover with a hot bag of water or cloth. Overnight, the cyst will get smaller. Epidermoid cysts are fairly common and usually should not be cause for alarm. However, if your cyst ruptures, becomes infected, or is the source of pain, then you should seek medical attention.